In the past, you have probably heard about the impact that people making whiplash claims can have on people’s car insurance premiums. There are no doubt many genuine claims for whiplash but there are probably a large number that should not have been made. 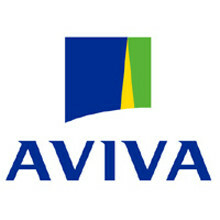 Aviva has expressed concern at the level of claims. It is estimated that the number of personal injury car insurance claims in the UK could reach around 840,000 in the year to April 2015 – that is an increase of 9% on the 12 months to April 2014. Around 80% of these claims are for whiplash and these have a value of £2.5 billion. It is estimated that this puts peoples’ car insurance premiums up by about £93 per annum. We are sure that you will agree that this is a huge figure. Aviva has suggested that the period of time that someone can decide to put in a claim for a whiplash injury should be reduced from 3 years to 1 year. They also feel that a claimant should be offered some form of medical treatment to help cure the problem rather just be paid a sum of money. Aviva are also of the opinion that when someone puts in a claim for whiplash that this sis supported with medical evidence that the problem has persisted for a minimum period of 3 months. Interestingly, Aviva estimates that by introducing these things could lower car insurance premiums by an average of about £50 a year. There is no doubt that it would appear more needs to be done to reduce the number of false whiplash claims that car insurance providers receive. Why should the honest motorist suffer financially at the hands of those people that are just trying to make what could be a considerable sum by submitting a false claim? Apparently, average car insurance premiums are about 50% lower in Germany and 40% lower in France. The number of whiplash claims is also lower in those European countries.